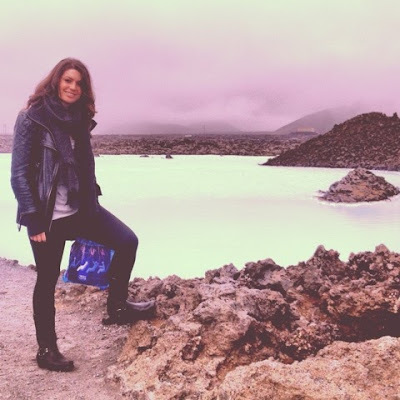 There is a lava field out in Grindavik, Iceland. It is a haven for, well, tourists! 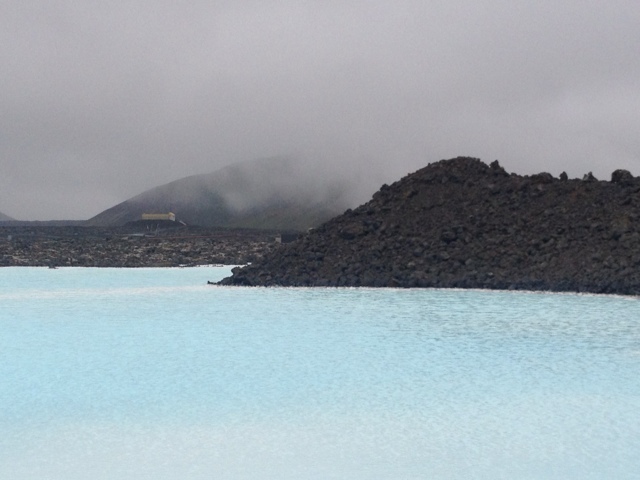 So I ventured 24 miles outside of Reykjavik to take a dip into the sulphur-rich geothermal spa. 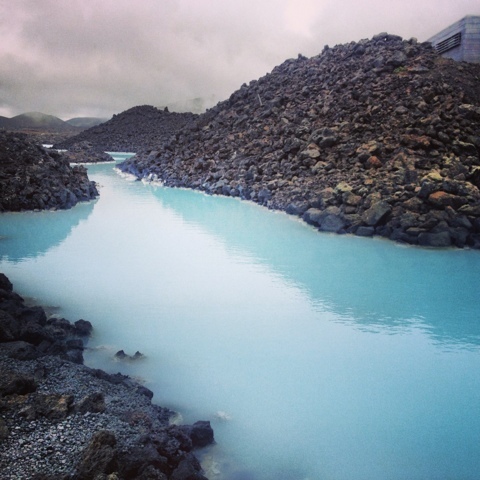 The blue lagoon is rich in minerals and on average it's 100 degrees, so it has been known to heal skin ailments such as psoriasis. The trap? It's pricey! And don't expect a towel or bathrobe to be included in the price. An extra charge (approximately $13) was added on to the entrance fee/bus ride price per person (approximately $80). On the plus side, the bus picked us right up at the hotel, as most buses do. Then we transferred to a larger bus at the main bus terminal. From there it was a 30 minute ride. I felt like we arrived on Mars. The milky blue water was glowing despite the fog and mist that hovered above the lagoon. I changed out of my comfortable winter gear, and reluctantly put on a bathing suit. As I walked through the locker room barefoot (Frye boots were a bad choice for swimwear) I tiptoed in and out of puddles. Some warm, some cold, neither made me feel better about navigating to a shower room with the chilling breeze of Icelandic boobies flapping at me. Finally, I walk outside where the lagoon awaits me. It's 50 degrees out, but I have my expensive robe rental to keep me warm for now. Once I'm in the lagoon I realize this is pretty nice. Ladies, tie your hair up. With such high amounts of salt in this water, your hair will basically crack in half if it gets wet. One tourist said it took her three days of washing her hair before it was back to normal. Swim up to the bar and buy a face mask, a smoothie, or a beer. Float around and let the water heal you! Now I'm sure there are less expensive less touristy geothermal spas out there, but this is one of the top attractions in the country, so I suggest you just try it out if you ever find yourself in Iceland!